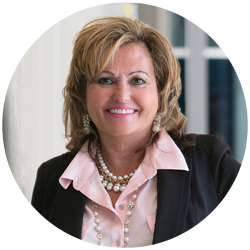 Over the nearly 30 years of real estate experience, Cathy Patterson has seen all aspect of property management. In her current role, she works with The Woodmont Company, a national full-service real estate firm headquartered in Fort Worth, Texas, to oversee the daily management of a portfolio of properties. Her broad experience and focus on results allow her to gain and keep the confidence of the property owners and tenants with whom she deals each day. Prior to working for Woodmont, Cathy spent eleven years with Greenway Investment Company where she took control of all tenant finish projects and capital expenditure projects. She worked closely with contractors and suppliers, administered deliverables, and provided technical management when needed. She was also involved in bid evaluating and qualifying. From 1992 to 2004 Cathy was involved in hotel and student housing projects throughout the United States for The Precision Group, based in Southlake, TX. As Co-owner and President, Cathy was responsible for business development, project management, contract negotiations, and had a labor force of more than seventy-five employees.